Mr. Sumit Dhanuka leads Private Investments at SAR Group's Family Office. SAR Group is the founding group of Luminous inverters and batteries. As private investments lead, he is responsible for Family office investments into Venture Capital funds as Limited Partner and Strategic Investments into startups and early stage ventures. The strategic themes of investment focus include Consumer IOT, Industrial IoT, smart appliances, connected devices, B2B ecommerce, energy storage and electric mobility. He oversees Family office investments into internal Group businesses which include Water Purification (brand 'Livpure'), Automotive Batteries (brand 'Livguard') and Clean Energy and Clean Transportation (brand 'Livgreen'). He also leads Strategic Initiatives at Livgreen Cleantech, the Group’s cleantech and clean transportation venture. He serves as Board Observer for Ncubate Capital’s portfolio companies. Prior to this role, he was part of the Mergers & Acquisitions Advisory group of PricewaterhouseCoppers, Mumbai managing M & A advisory projects for clients across industry sectors. He holds a Bachelor’s degree in commerce with honors from St. Xavier’s College, Calcutta. He holds a degree in Chartered Accountancy from the Institute of Chartered Accountants of India (ICAI). 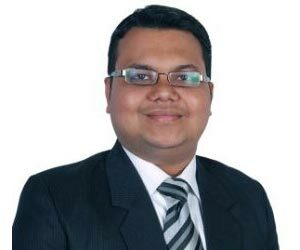 He is a qualified Chartered Management Accountant from CIMA, UK and a qualified Company Secretary from the Institute of Company Secretaries of India (ICSI).